These jumbo extra fancy cashews are some of the very finest in the world. We roast them carefully to make sure they are extra crunchy, then enrobe them with a sweet, honey sugar coating. 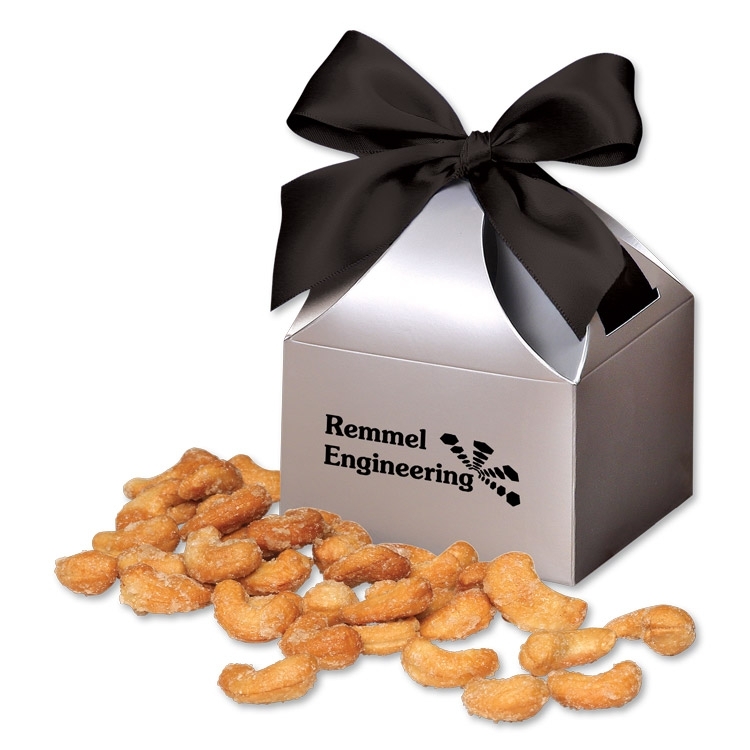 Cashews are a great source of magnesium, selenium, zinc and iron. 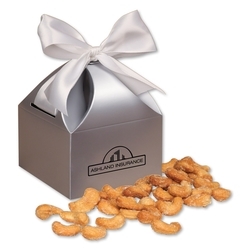 The silver gift box is foil-stamped in one of four colors (black, white, red, or blue) and tied with a matching satin ribbon and bow. If individual shipment is requested, individual mailers are required at an extra charge.